New mobile devices have provided many utilities to our daily routine, among which we have to mention tools to be able to read from our phone. 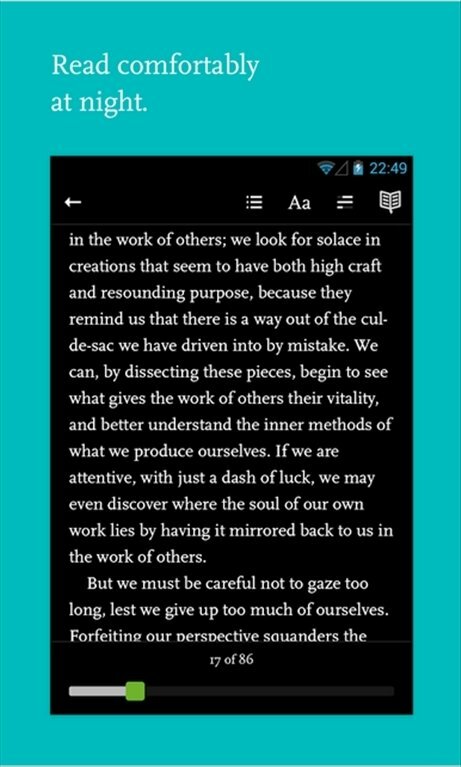 Increasingly larger screens have made this possible and Readmill will make reading from our Android a real pleasure. 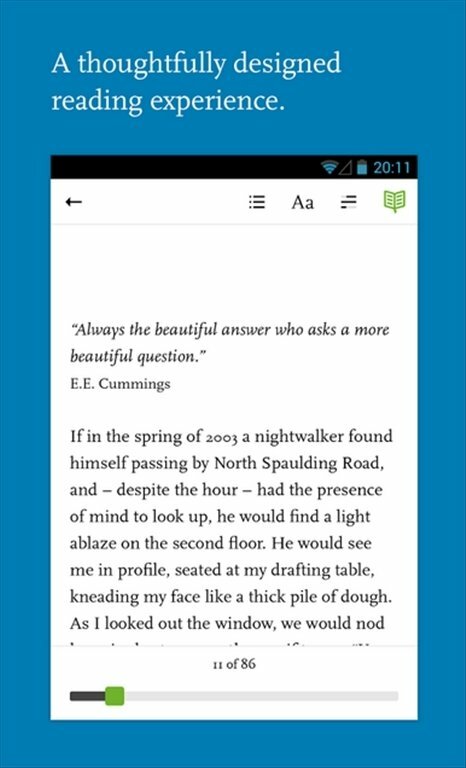 The best eBook reader, now in your pocket. 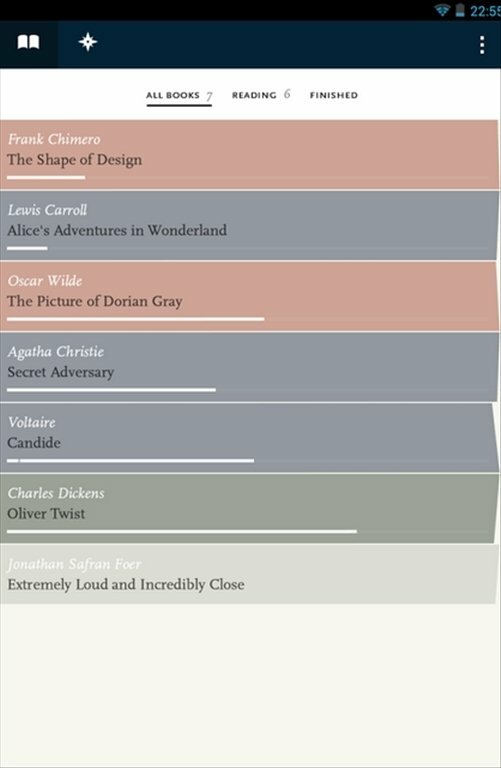 Elegant and minimalist design, highlighting only the text, without any other elements that distract your reading. 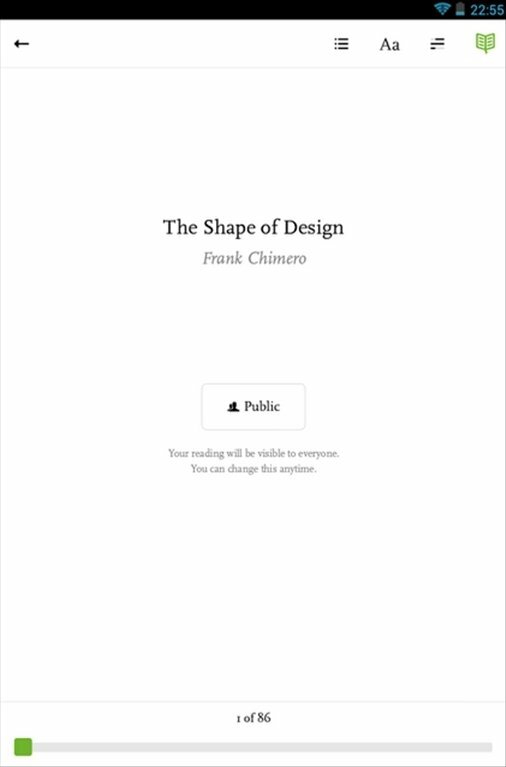 Allows you to have all your eBooks perfectly organized. Upload your eBooks from your PC to the Readmill server to sync them and have them on all your devices. 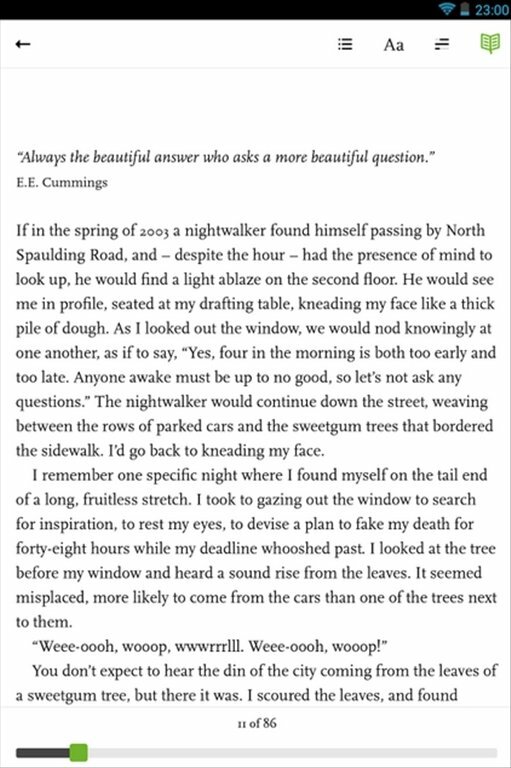 Allows you to download a large amount of free eBooks from the browser. 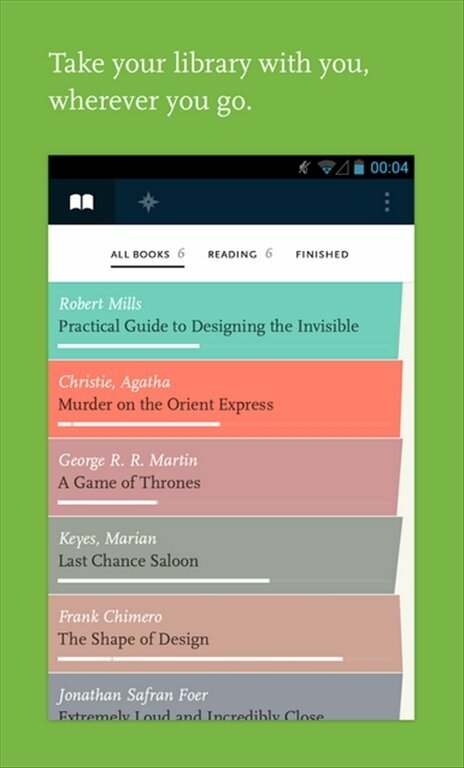 With Readmill we can also leave our opinion after reading a book, or check recommendations made by other users. 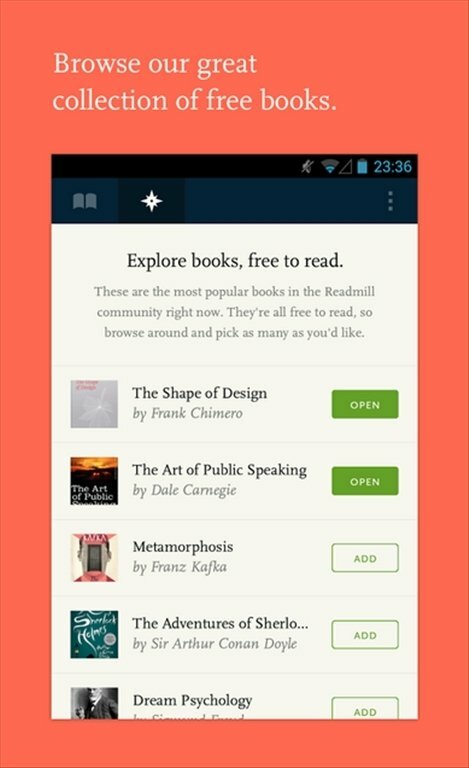 Don't think twice and download Readmill on your Android. Minimum operating system requirements: Android 4.0.